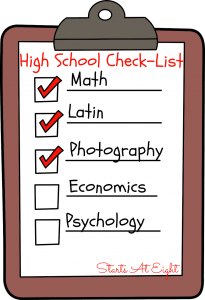 Homeschooling High School Math and Science was always my two biggest concerns when I thought about the journey ahead. I didn’t want to have to relearn all of that information myself, and I had no idea how I was going to teach these subjects given that information and the fact that recreating science lab at home can be more than a bit overwhelming! 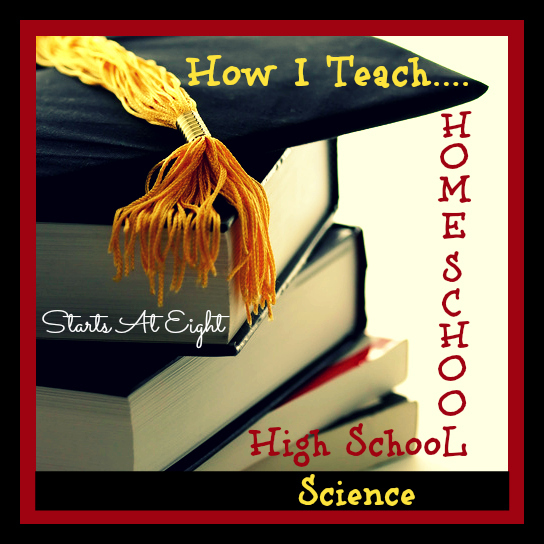 Yesterday I talked about How I Teach Homeschool High School Math, now today I am going to tell you about what I have found for teaching homeschool high school science. 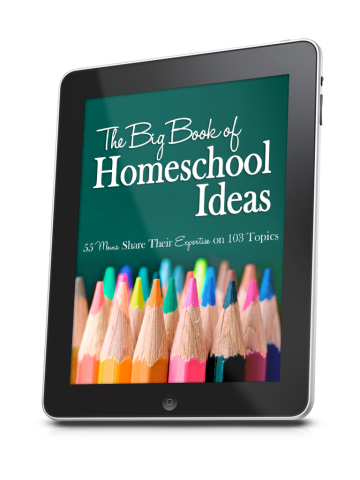 If you haven’t noticed already, you most certainly will, that when you get to homeschooling high school the options narrow significantly. 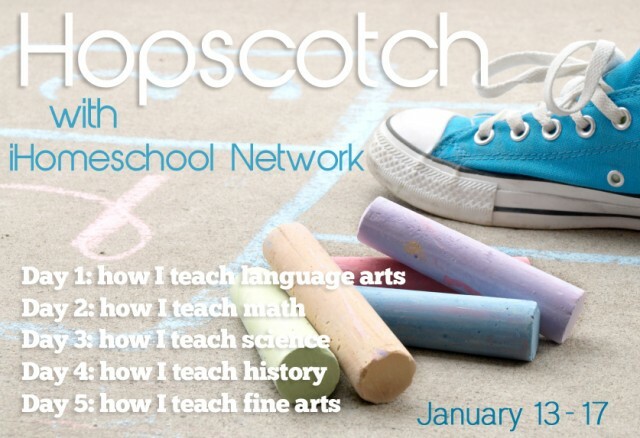 Not only are less people homeschooling high school (than Elementary School), but there are less choices for resources to homeschool high school. Through the years I have struggled with finding a science curriculum that I felt was both easy to implement and comprehensive. Through doing extensive research I found a program called DIVE – Digital Interactive Video Education. They are mostly known for their math programs which coordinate with Saxon Math, but they have a full line of science curriculum for 8th-12th grade as well. Given that my daughter responded well to the interactive video style of Teaching Textbooks, the DIVE cds are done in a similar manner, thus she enjoys watching the videos and doing her work based on them. You can choose what text you want your student to read. From the FREE option of provided Internet links to buying a text from publishers like Bob Jones, the choice is yours. DIVE has a list of recommended texts with corresponding sylabi. Don’t see one you like, pick a text and they will send you a syllabus to follow for your chosen text! The course work is easily laid out in the same style each week. You read your text, and answer questions. What the video lecture and complete any questions. Then there is a video lab to watch along with corresponding lab sheets to complete while participating in the lab. All answers are supplied on the DIVE cd for the questions and lab sheets. I love that you can choose to just watch the labs as they are done in great detail and leave the documentation to your student, or you can choose to purchase the lab supplies and physically do the lab yourself along with the video. Being able to “do” the labs without having to purchase all the expensive lab supplies is great when you are on a tight budget. DIVE is meant to be an independent program for the student. From following the schedule, to competing the reading and labs, to grading, it is meant to give the student the capability to do it all. That leaves the teaching in their hands and the learning in your student’s hands. The DIVE science schedule is set up to be 4 days a week, one of those being an extra day to complete any unfinished questions or work. Our daughter finds that three 2-3 hour days is usually enough to complete the work. 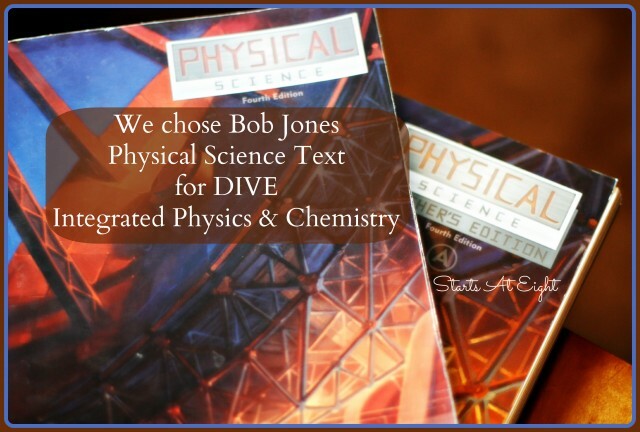 We chose to use the Bob Jones Physical Science 4th Edition as our text for the DIVE Integrated Physics & Chemistry course. We were able to purchase it used along with the corresponding Teacher’s Manual for a reasonable price. It is one of the texts that is recommended by DIVE and is indicated to be an honors level course. Read Bob Jones text and answer the corresponding questions from the textbook. (Doing these questions is something we added to help her spend focus time on what she was reading.) After reading and answering the questions in her notebook she then comes to me for the answer key so she can check over her work. 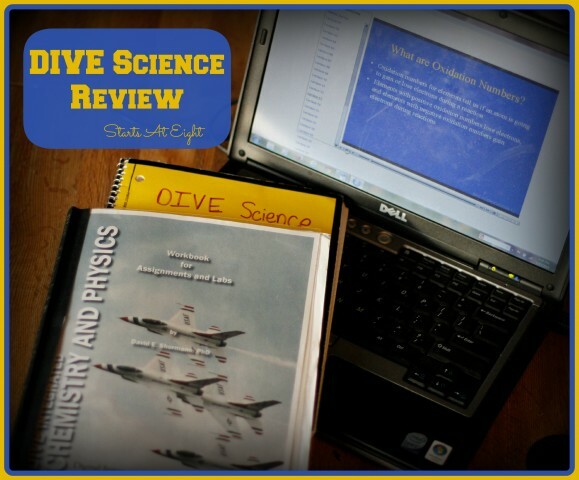 Watch DIVE Video Lecture and complete corresponding definitions and questions in the DIVE Printable Workbook. (We printed out the workbook and bound it for ease of use. You can also purchase a printed one directly from DIVE.) Upon finishing the lecture she pauses the disc to complete the questions. Then she continues on in the video where the answers to the questions are gone over and explained. Watch DIVE Video Lab and complete the corresponding Lab Sheets, pausing as the video indicates. Oh, wow! Thanks for the info. We use the dive cds for math and I wasn’t aware that he has science ones as well. This will be a big help for my kids as they struggle with the appologia test and the labs at times. So glad I could help Shannon! I am very impressed with the video labs. They are a definite big seller of the DIVE Science program. We used the last part of the Integrated Physics & Chemistry last year and liked it. This year we used DIVE Biology and I have been disappointed in the last half of the year. There is no lecture. The student reads, fills out the review questions and does the lab (there is still video for the labs). The lecture was what really drew me to the DIVE science. Oh that is a bummer Beth. I did not know that. The lecture is one of the main things we liked about the program. I wonder why they don’t have lectures for the 2nd half of Biology. Did you ever write and ask them? This year we purchased the DIVE Biology. It is a real disappointment. They have to answer the questions but there are some lessons the reading doesn’t help you to answer the questions. My son would have to try to google for the info. to try to answer his questions. This is very time consuming for my son, as this is not the only subject he has to do on a daily basis. When we tried to call, the lady didn’t know why there were not much reading material to do the problems. There are times where there are reading materials but it doesn’t help you in your home work. After about the 12th week, the lectures occur less and less. We are passed the 90-day refund, or else we would ask for our money back.